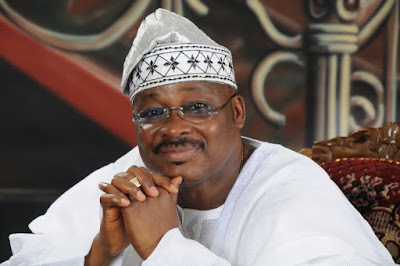 Governor Abiola Ajimobi of Oyo State has requested for a letter of apology from schools whose pupils took part in a protest against government’s proposed education initiative. Alhaji Abiodun Jimoh, the Chairman of the National Parents Teachers Association of Nigeria, Oyo State Chapter, said this in Ibadan on Thursday after a meeting with the governor. Pupils in the state on June 6 went on rampage in protest against the state government’s proposed public/private participatory management of schools. The pupils had protested following allegations that the state government had sold their schools. However, government had several times dismissed the allegations, saying the initiative was participatory and aimed at boosting the education sector. Jimoh told newsmen that the association had visited Ajimobi to appeal to him to re-open the schools, which were shut down by the state government over the incident. Jimoh said: “The governor said that the heads of the schools should write letters of apology to the government. “We have promised him that we will meet with the heads of the schools to immediately write the letter in the interest of the pupils. “We are fed up with the strike action and our children staying at home for so long. Jimoh also said the association would wade into the face-off between labour and government. He said Ajimobi had explained to them the agreement reached with labour on the modalities for the payment of salaries to workers. Jimoh said the governor had also stressed the need for labour to embrace dialogue, adding that his government was predisposed to this anytime.